- Unit comes in 75cm, or 100cm lengths. 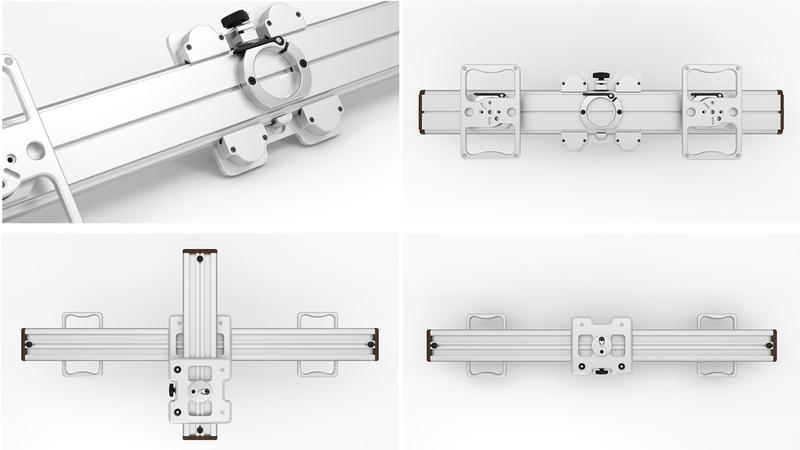 The second axis accessory is a 50cm length. - discount also applies to the accessories but only when purchased with the 75mm or 100mm slider. - only charged when unit is ready to ship. This sale will run until January 31st or until the 30 units are allocated. Just email me (trostslider@icloud.com) your contact info and the unit you want, and Trost will send you a coupon code for purchase. Last edited by Bob Gundu; 01-01-2014 at 01:38 PM. It looked really neat when you showed it to us, Bob! Great review as well. C.E.O. of Wernham Entertainment Inc.
Co-Owner of Epic-X #3805 "Hentgen" & Scarlet-X #557 "Stieb"
Great review, Bob. Looks like an excellent product. I forgot to mention in my review, that I also took just the 50cm slider out and is awesome as a portable slider that needs no bracing. A great travel jib. It's nice having 2 different length sliders. Last edited by Bob Gundu; 12-28-2013 at 07:53 PM. Only thing that could make this an even more attractive Slider would be a way to mount a Belt w/Motor. When you say no bracing you mean you can mount the 50cm by itself just on a tripod? Can we buy the 50cm alone w/ discount? Thanks Paul. Send me your contact info at trostslider@icloud.com.